(a) Using a screwdriver, disengage the claw. 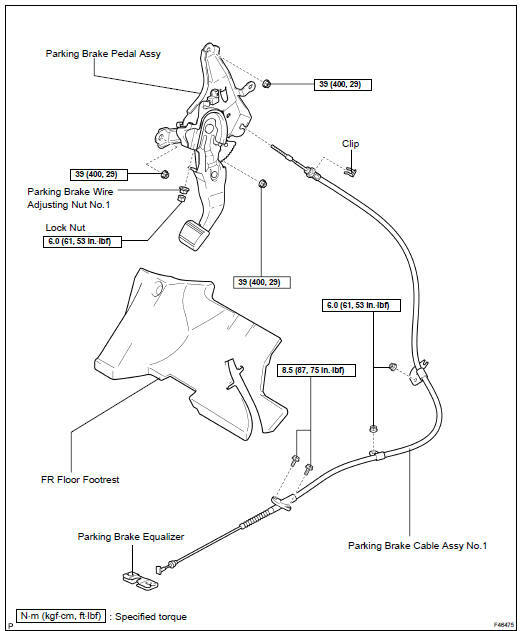 NOTICE: Be careful not to damage the parking brake cable assy No.1. (b) Remove the clip from the parking brake pedal assy. (c) Remove the lock nut and parking brake wire adjusting nut No.1. (a) Install the parking brake cable assy No.1 with the clip. (b) Temporarily install the parking brake wire adjusting nut No.1 and lock nut. NOTICE: Bend the claw fully.